Today, Botify had the pleasure of meeting the Telus team and touring the facility #elevators. After a 40 min. unscripted icebreaker in a stalled elevator, and a pretty cool intro from Jack Reeves on the Telus Digital mindset (agile) and set up, Botify was able to tour the 10th floor of 768 Seymour St. 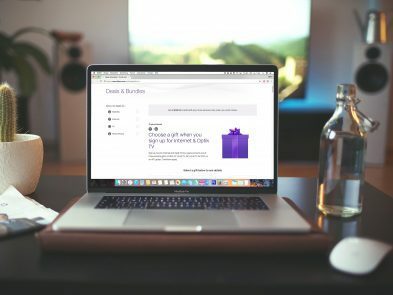 Faced with the decision to work on a website portal (myTelus), the Bundle Builder, or a pitched project, Botify settled on the Bundle Builder since it has the most value proposition, and meshes well with the team’s skills and backgrounds. With almost three weeks in the book, it’s time to start nailing down our sprint rhythm. Sprint plan-sprint goals-retros, rinse and repeat. To make the process more visible, the following poster was plastered on the project room glass, right above the visual timeline and the sprint board. Botify has set out on a journey to develop its first prototype, modelled by the GV Sprint approach. Finally! After four weeks of research and ideation, a prototype! Voila…but this is only just the beginning #failfast. After completing and testing our first prototype, what next? How do we slice this project into manageable chunks? Time for a feature matrix! As production starts to come into focus, the scrum board is not enough. Time to build the backlog. A pivotal insight into just how major companies like Telus are utilising Agile and Scrum to revolutionise management processes and just how important the Centre for Digital Media’s preparation of its students is for the industry. Time flies! It’s mid-term already. Time to do a complete retro on our progress to date. As the team turned the corner into the final furlong, the last 3rd of the project, weeks 9-12, it was critical that those elements identified as ‘core’ to the solution are rounding into form. After conducting rounds of testing mostly on site at the CDM, Botify took to the streets to find eligible bundle builder customers to gain better insight. The objective was to conduct an observational usability test, with some follow up questions afterwards. It’s 3 weeks from delivery, production is (and has) been in full swing. Everything seems swell, team’s happy, client’s happy…..wait, maybe not! We received word from our faculty supervisor that the client is not all too impressed with the “level of quality” in our UI (insert punch to the gut meme here). The final beta test…we went back in the wild again, couldn’t resist! So it’s that day, the moment we’d been thinking about for three months. Part tense, part exciting, invigorating yet draining, it was time to present our deliverable. Three months of blood and sweat, bound together by the constant pursuit of success, we were ready….no really, we were ready! Alas, it’s time to wrap it up….for now, is it ever really the end? Some reflections as we say goodbye. Botify (Telus Team), Proudly powered by WordPress.